It was not easy to get to see her. There was the journey to Sikkim and then the guards hanging around. Yet she knew me and there was a wonderful welcome! the photograph is a wordless memory, a record of her being in this place! Actually, this photo is probably from my first visit in 1990 … its’ a long time ago but feels like yesterday! Visited perhaps 3 times yet the experience was timeless! She used to have a dog … it once ate 3 kyapsey (Tibetan cookies) then refused any more! 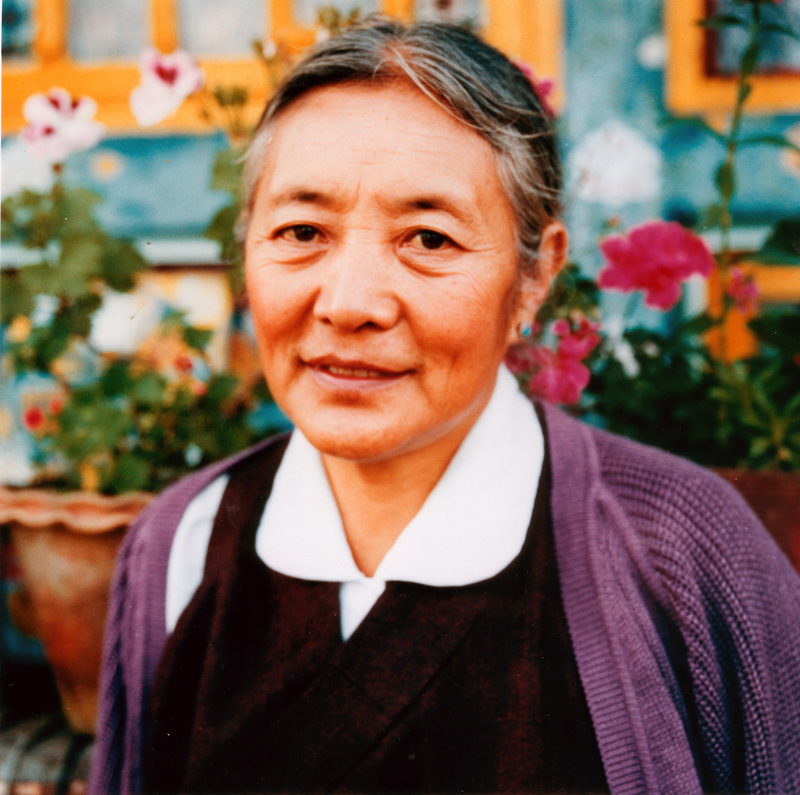 it is even rarer to meet someone like Khandro! I have found the original negative for this image and am planning to do a limited edition set of prints! The cost of the print will reflect the material cost (archival printing quality,postage) only; about 25 euro I expect for an A3 size print. One can of course buy this print from Zam but I am offering something special to mark this occasion.